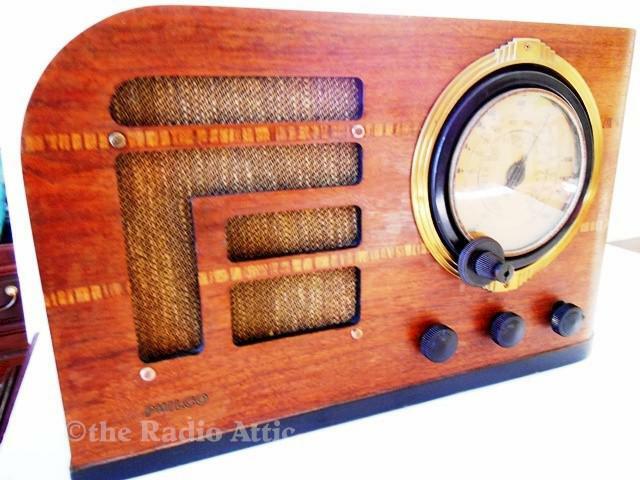 Here is a great looking wrap-around/water-fall Philco with two bands and six tubes. It has the Deco flair and is in excellent condition. It has a little stickiness or catching of the quick set dial, but I will get this corrected before shipping/pickup. Very nice for most any collection.